Sun., 1 Dec. - Mon., 6 Jan.
Fri., 28 Jun. - Sun., 15 Sep.
Fri., 21 Jun. - Sat., 13 Jul. Sat., 6 Jul. - Sat., 20 Jul. See all 51 properties in Tianhe Intl. 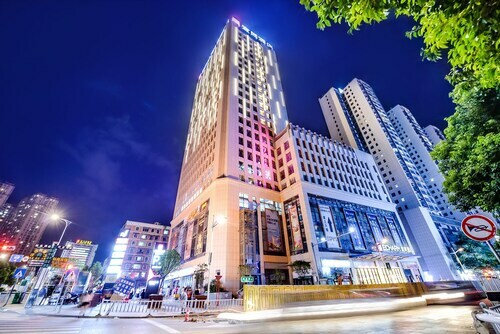 Situated in Wuhan, this hotel is within 16 mi (25 km) of Huangpi Erlongtan Park, Wuhan Museum, and Shuangfeng Park. Wuhan International Country Club and Jianghan Road are also within 20 mi (32 km). Situated in Wuhan, this hotel is within 20 mi (32 km) of Huangpi Erlongtan Park, Shuangfeng Park, and Wuhan International Country Club. Wuhan Museum and Jianghan Road are also within 20 mi (32 km). Situated in Wuhan, this hotel is within 12 mi (20 km) of Wuhan Museum, Wuhan International Country Club, and Jianghan Road. Zhongshan Park and Wuhan International Convention & Exhibition Center are also within 12 mi (20 km). 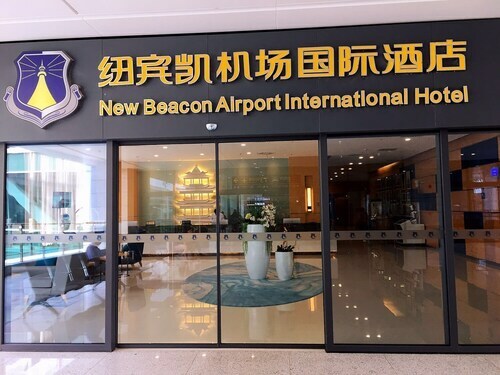 Situated in Wuhan, this hotel is within 9 mi (15 km) of Wuhan International Country Club, Wuhan Museum, and Wuhan International Convention & Exhibition Center. Zhongshan Park and Jianghan Road are also within 12 mi (20 km). 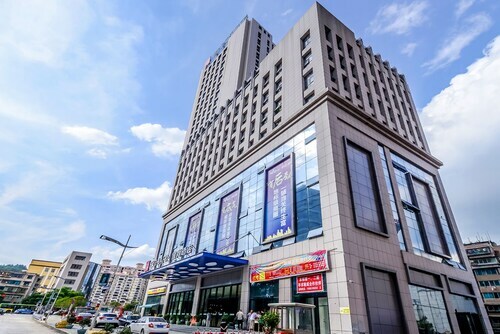 Situated in Wuhan, this hotel is within 9 mi (15 km) of Wuhan International Country Club, Wuhan Museum, and Jianghan Road. Wuhan International Convention & Exhibition Center and Zhongshan Park are also within 9 mi (15 km). Located in Jiang Han, this luxury hotel is 1.1 mi (1.8 km) from Wuhan Museum and 2.7 mi (4.3 km) from Wuhan International Country Club. Jianghan Road and Wuhan International Convention & Exhibition Center are also within 6 mi (10 km). 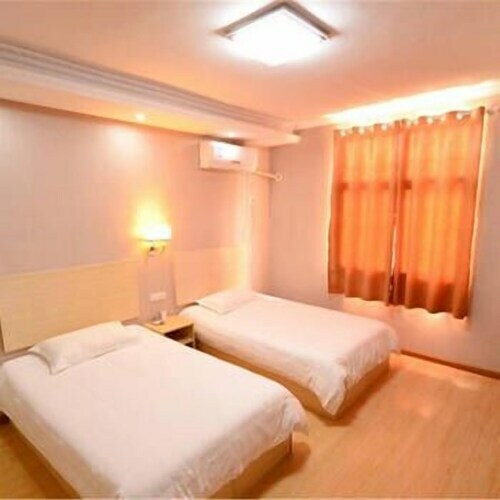 Located in Jiang Han, this hotel is 2 mi (3.2 km) from Wuhan Museum and 2.2 mi (3.6 km) from Wuhan International Country Club. 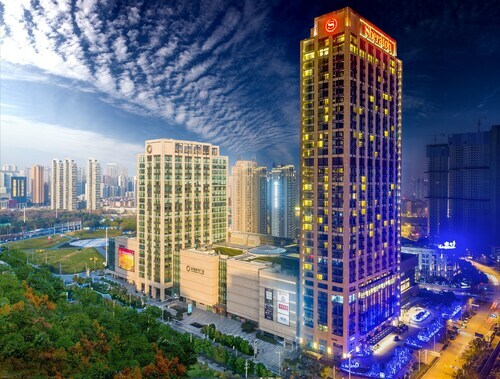 Jianghan Road and Wuhan International Convention & Exhibition Center are also within 6 mi (10 km).